What Are Department of Education Student Loans? For many people, student loans can make further education possible. The very nature of a loan, whether it’s a federal, state, school or private loan, means it always has to be repaid. You have to repay your loans even if you drop out of school, are unable to find a job related to your degree or are dissatisfied with your college education. However, your loan may be forgiven (cancelled) if certain circumstances apply. If you're struggling with student loan debt, forgiveness may save you. Several student loan forgiveness programs are available to eligible, qualifying borrowers. After you make repayments on your student loan for a certain length of time (between 10 and 25 years, depending on the type of loan and your initial terms and conditions), the remaining balance on your loan is wiped out. Two types of student loan forgiveness are Public Service Loan Forgiveness and Teacher Loan Forgiveness. You are only eligible for Public Service Loan Forgiveness, also known as PSLF, if you have made 120 qualifying monthly payments (10 years’ worth) while working full time for a qualifying employer. Qualifying employers include government (federal, state, local or tribal) organizations and not-for-profit organizations that are tax exempt under Section 501(c)(3) of the Internal Revenue Code. Serving as a full-time AmeriCorps or Peace Corps volunteer also counts as qualifying employment. However, for-profit government contractors, labor unions, partisan political organizations, for-profit organizations and not-for-profit organizations that are not tax exempt under Section 501(c)(3) of the Internal Revenue Code are not qualifying employers for PSLF. When it comes to PSLF, planning ahead is vital. If you think you want to qualify for PSLF in the future, you should complete and submit the Employment Certification form as early as possible and continue to submit it annually in addition to every time you change employers. For the purposes of PSLF, full-time employment means you work a minimum of 30 hours a week or you meet your employer’s definition of a full-time employee, whichever is greater. It’s acceptable to work in more than one qualifying part-time job at the same time. Provided you work a combined average of at least 30 hours per week, you may still meet the full-time employment requirement. Only Direct Loans received under the William D. Ford Direct Loan Program qualify for PSLF. If you have other types of federal student loans, such as Federal Family Education Loans or Federal Perkins Loans, these do not qualify for PSLF. However, if you consolidate these loans into a Direct Consolidation Loan, they may then be eligible for PSLF, although only qualifying payments made on the Direct Consolidation Loan may be counted toward the 120 payments required for PSLF. This means any loan payments you made toward these loans before consolidation do not count. A qualifying loan payment is a loan payment made after Oct. 1, 2007 under a qualifying repayment plan. It must be for the entire amount shown on your bill, be made no later than 15 days after the due date and be made during full-time employment by a qualifying employer. Another student loan forgiveness program is the Teacher Loan Forgiveness Program. You may be eligible under this program if you teach full time for five complete and consecutive academic years in a low-income school or educational service agency. At least one of those years must have been after the 1997–98 academic year. The maximum forgiveness amount is $17,500, and the qualifying loan types are Direct Subsidized and Unsubsidized Loans and Subsidized and Unsubsidized Federal Stafford Loans. 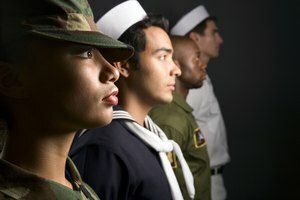 You may also be eligible for forgiveness if you have a Direct Consolidation Loan or a Federal Consolidation Loan but only on the outstanding portion of the consolidation loan that repaid an eligible Direct Subsidized Loan, Direct Unsubsidized Loan, Subsidized Federal Stafford Loan or Unsubsidized Federal Stafford Loan. PLUS loans for parents and graduate or professional students and Federal Perkins Loans are not eligible for Teacher Loan Forgiveness. If you could not complete a full academic year of teaching, that year may still count toward the required five complete and consecutive academic years if you completed at least half of the academic year, and your employer considers you to have fulfilled your contract requirements for the academic year for the purposes of salary increases, tenure and retirement. Additionally, your reason for not completing the academic year must be that you went back to postsecondary education on at least a half-time basis in an area of study directly related to the performance of your teaching service or you had a condition covered under the Family and Medical Leave Act of 1993 (such as incapacity relating to pregnancy or prenatal care, a chronic health condition or a permanent or long-term incapacity) or you were called or ordered to active duty status for more than 30 days as a member of a reserve component of the U.S. armed forces. The maximum forgiveness amount under the Teacher Loan Forgiveness Program is either $17,500 or $5,000, depending on the subject area you taught. If you have eligible loans under both the Direct Loan Program and the FFEL Program, $17,500 or $5,000 is the combined maximum forgiveness amount for both programs. Highly qualified, full-time mathematics or science teachers who taught students at the secondary school level and highly qualified special education teachers at either the elementary or secondary level may get up to $17,500 in loan forgiveness. Highly qualified, full-time elementary or secondary teachers who didn't teach mathematics, science or special education may get up to $5,000 in loan forgiveness. To be a highly qualified teacher, you must have at least a bachelor’s degree and full state certification as a teacher. Additionally, you may not have had certification or licensure requirements waived for an emergency, temporary or provisional reason. If you're not eligible for loan forgiveness under PSLF or Teacher Loan Forgiveness, there are a number of other student loan forgiveness program options to consider. Forgiveness programs are available for lawyers, nurses, doctors and other health care professionals. Other programs that offer forgiveness are certain income-driven repayment plans such as Income-Based Repayment and the Pay As You Earn Repayment Plan, also known as the PAYE Repayment Plan. 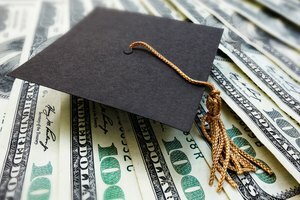 Income-Based Repayment, or IBR, caps your student loan payments at 10 to 15 percent of your discretionary income. After you have made consistent payments under IBR for 20 or 25 years (depending on the terms to which you agreed when you first took out the loan), any remaining loan balance is forgiven. Qualifying loans include Direct Subsidized and Unsubsidized Loans, Direct Grad PLUS Loans, Subsidized and Unsubsidized FFEL Stafford Loans, FFEL PLUS Loans made to graduate students, consolidated Federal Perkins Loans and Direct Consolidation Loans, unless they were used to repay Parent PLUS Loans or FFEL Loans made to parents. Under the PAYE Repayment Plan, your student loan payments are generally capped at 10 percent of your discretionary income. After making consistent payments for 20 years, any remaining loan balance is forgiven. To qualify for either IBR or the PAYE Repayment Plan, your required payment, which is based on your income and family size, must be less than what you would pay under the Standard Repayment Plan over a 10-year repayment period. To qualify for the PAYE Repayment Plan, you must also be a new borrower, meaning you have no outstanding balance on a Direct Loan or FFEL Program Loan received on or after October 1, 2007, and you must have received a disbursement of a Direct Loan on or after October 1, 2011. You can apply for IBR or the PAYE Repayment Plan through the Federal Student Aid website or get a paper student loan forgiveness form from your loan servicer. Under any income-driven repayment plan, you're not committed to paying the same monthly payment every month. Your payment may go up or down, depending on your circumstances. For example, if your income increases, your monthly payment may also increase. 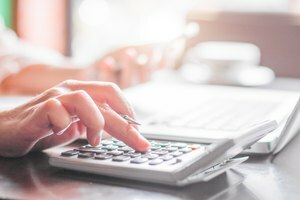 You must recertify your income and family size on an annual basis to ensure your monthly payment requirement is appropriate for your circumstances. If necessary, your loan servicer will recalculate your payment. Not everyone on an income-driven repayment plan will have anything left to be forgiven at the end of the repayment period. This depends on several factors, such as how quickly your income increases and how much money you earn compared to what you owe. Your loan servicer tracks your qualifying monthly payments and years of repayment and will let you know when you are reaching the point of qualifying for forgiveness of any remaining loan balance. You must apply for student loan forgiveness. For PSLF, you submit an application form after you have made your 120th qualifying monthly payment. You must be working for a qualifying employer at the time you submit the application for forgiveness and at the time the remaining balance on your loan is forgiven. For the Teacher Loan Forgiveness Program, you submit a completed Teacher Loan Forgiveness Application to your loan servicer after you have completed the required five consecutive years of qualifying teaching. You can apply for an income-driven repayment plan through the Federal Student Aid website. The terms forgiveness, cancellation and discharge are often used interchangeably about student loans. They basically mean the same thing – you are no longer required to repay some or all of your loan – but are used in different ways. If you are no longer required to make loan repayments due to your job, it’s forgiveness or cancellation. On the other hand, discharge is used to describe a situation where you are not required to repay your loan due to other circumstances, such as a disability or the closure of your school. Forgiveness, cancellation and discharge options vary by type of student loan. Perkins Loan Cancellation is available for Perkins Loans under certain circumstances. For example, if you have a total and permanent disability or your school closes before you complete your program of study, 100 percent of your loan may be cancelled. It may also be cancelled in full if you are a full-time firefighter, law enforcement or corrections officer, nurse or medical technician or if you are a qualified professional provider of early intervention services for the disabled. To get a Federal Perkins Loan cancelled, you must apply to the school that made the loan or its designated loan servicer. Your Direct Loan or FFEL Program Loan may be discharged in the event of your total and permanent disability or the closure of your school before you complete your program of study. If your school falsely certified your eligibility to receive a loan or if your loan was made as a result of the crime of identity theft as determined by a court, then 100 percent of your loan may be discharged. Contact your loan servicer to apply for discharge of your student loan. 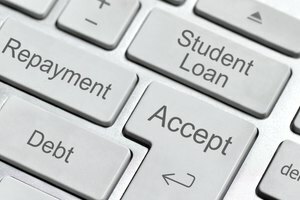 Federal Student Aid: What is Income-Driven Repayment? Gillespie, Claire. "About Student Loan Forgiveness." Synonym, https://classroom.synonym.com/about-student-loan-forgiveness-13714917.html. 27 September 2018.